As an enthusiastic entrepreneur, you start mapping your business plan to launch either a service or a product. A business offering service might only need an office space but a manufacturing unit needs more than a small place. Other than that there are many factors, differentiating a service business from a manufacturing business. 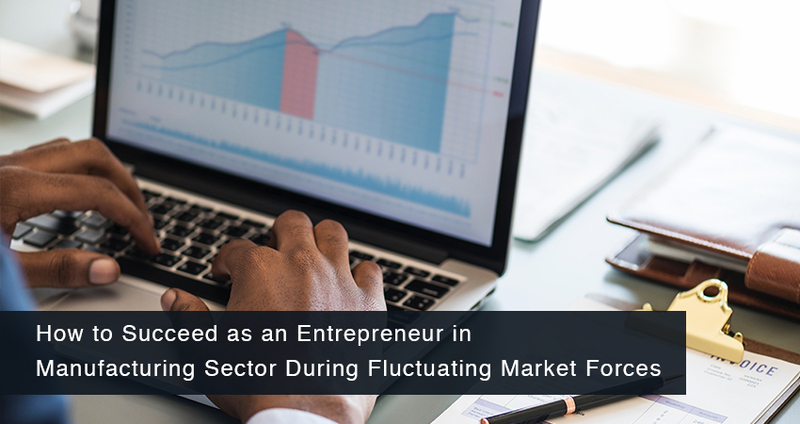 With a cutting edge competition in both sectors in 21st century, an entrepreneur is always in constant pressure to match his/her business idea with market standards. And these business standards form market is always fluctuating as the technological & government policies are changing constantly in various countries. In India demonetization had a huge impact on Manufacturing Sector, with factory activity decelerating in December for the first time in 2016. This was due to less availability of cash in this cash-intensive sector. After demonetisation, GST made another turn for small business owners. Here, we will look through some of these constantly changing factors and how to minimise their effects on manufacturing businesses’ supply chain. The political volatility is always fluctuating and these fluctuations are likely to stay. Other factors like climate change, supply shortage and natural disasters are bound to happen as well. And big companies like TATA Motors Ltd. having large resources and well-established distribution systems are prone to these market forces. TML prefers to go for long term contract instead of an annual contract which helps them to lower their cost. About 75% of their components are from a single source whereas about 90% of total cars are being outsourced, this type of distributed supply chain also responds to market forces quickly and accordingly. But its notable that speed is just one factor, another factor to consider is agility. Anticipating every market change and calculating constantly, doesn’t assures speed in manufacturing and supply chain. Having an agile networking system which provides effectiveness does. Distributing the supply chain into networks and resources with more transparency in action will responds to policy changes quickly. India’s aspiration to become a global manufacturing powerhouse and the government emphasising on ‘Make in India’ also compels nationwide supply chain reform, prompting several federal and state-based schemes and investment incentives. It is also worth taking advantage of infrastructure, when infrastructure projects are being developed. Supply chain for many companies likely to increase their efficiency. Another question arising from above is how to apply agility to a traditionally rigid system of manufacturing and supply chain? One roof manufacturing or liner manufacturing units are losing its efficiency as the market forces are changing at a fast pace. Hence, traditionally liner system has to be updated into distributed manufacturing units which decrease the time for manufacturing of products. Again taking TML example, they have more than 100 suppliers for their provision of Raw materials. Of course, having that much of resources takes hundred years but constant improvement brings change. Having a distributed network model for manufacturing of products decreases the time of production. On suppliers’ side as well, participating in contract manufacturing network can help gain vast numbers of customers. Both the suppliers and manufacturing networks utilize data, machine-learning algorithms (MI) and cloud infrastructure to drive effectiveness into their business. This newly open door of a global market in the manufacturing sector has increased over time and it will decrease trading & information exchange limits between countries. Another method to make the manufacturing and supply chain more agile is through technology. Technologies like cloud infrastructure and machine learning are turning traditionally linear systems into responsive supply chains. Imagine a machine in an instance of manufacturing the way a software developer branches code. Bringing modern technology to manufacturing can help product companies understand their businesses and manage supply chains with the same best practices of deploying software. Use of technology like cloud computing for information exchange as well as improves the supply chain of information. Future of technology will be cheap and big data market will be the driving force behind the success of a business. Through cloud computing even analysed data can improve efficiency in manufacturing units. Developing analytical ability to understand and use this data is significant to increase the presence in any market to become a Successful Entrepreneur. The days of rooms filled with old papers are gone; manufacturers should seriously consider their needs and business objective of applying through cloud computing to improve their overall business. It is good to employ more labour being part of social entrepreneurship in a country having 2nd largest population in the world but an entrepreneur having less investment to make will always consider skilled labour over more labour. Rather than having more labour, skilled labour should be the aim, as those employees decreases the work lags and improves the work environment, ultimately benefitting the efficiency of a workforce at work and manufacturing unit. Those skilled labours understand the pace of change, working and learning simultaneously with the provision of work satisfaction decreases employee turnover in manufacturing companies. As Honourable Prime Minister Narendra Modi’s “Make In India” and “Digital India” concept, skill development is becoming more valuable in nature & inexpensive monetarily for the general public, hence increasing skilled labour. It is likely to increase more as the work force also wants to increase their own bread. Further, in need of a “better work”, these skilled work forces expect less of monetarily benefits and an entrepreneur is able to acquire low cost skilled labour. Manufacturing Entrepreneurs’ objective to increase presence in global market needs to retool their business models to mitigate risks like global policy change and technology change in terms of political, economic, social and climate. Companies sticking to a traditional rigid system of manufacturing and supply chain are likely to be affected gravely in coming future than business constantly investing in the new business model.